Home>Web Design>How To Make Your Website Clean And Effective With Simple Designs? Your website is your brand ambassador. People end up with conclusions with what they grasp from your website. 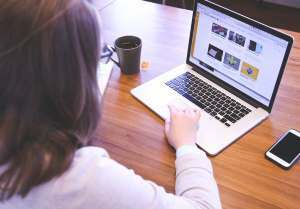 A recent study has found that 48% of people judge a business through their website design. That doesn’t mean you should put in place great design stuff. The more simple you design your website, the more it gains credibility on your visitors. You might ask me how a website could be that effective if at all you design it bigger. Let me explain you in this post. 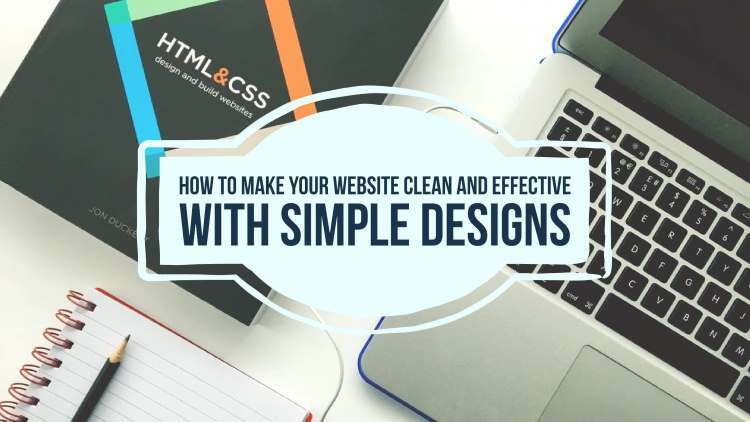 How to make your website clean and effective with simple designs? Have you ever come across website designs that fill the entire page? You will never know where to look at. Do you think such websites could grab the attention of the crowd? Website with simple design is more effective when compared to the stuffed ones. When you design a website that is simple and clean, you create a stable experience. Visitors show much interest on such websites. Have you come across web designs that have one or two quotes, some images and drives straight to the “Enter email” Tab? Such websites definitely gain a lot of trusts from its visitors. You do not own a website to display ads and let people gaze at your logo. You own a website to present your business to the audience and engage them with content. You need to know the very secret that content marketing could improve your business standards. Depending on your industry you could engage your visitors with products and offers. You can even engage your visitors with images, free trials and call to action content. To your notice, text content is not the only form of content. Content can be of any form either images, texts, videos and so on. If you are into a long term process than putting a single call to action tab is not worthy. Rather engaging with ads or any irrelevant images, posting quality content makes sense. Did you know, simple designs are professional? Have you ever noticed professionals, they try to get things done as simple as possible? And they even follow some color code. Make sure that you opt in bright and simple color scheme that soothe visuals. That is how a site should look. A simple web design with engaging content and professional color code grab attention. It is obvious that people always try to tie up with such business professionals. It is that simple. The larger space, the more you spend on hosting. A well-known truth is that the lesser space you engage on content, you will have to spare the least on hosting. Hosting companies charge extra on engaging with more content. Hence, this is a drawback on stuffing too much of content. It is always good and cost effective to have simple designs. Now you could avoid spending too much on hosting by simplifying the content you display. You could never design a website that easy. Yet, putting up a lot into the website makes a huge mess. And you will find it difficult to get them organized. And it becomes still worse when it has to be updated. No other person could know much better than a designer to get them organized. So it is better to go with simple designs that pair up with quality content. Rather than breaking head with a hectic design structure. Business owners who have already made a profit out of their businesses do not concentrate much on conversions. You could notice them through the website they own. There is a possibility of finding outdated designs on their website. I have come across such web sites which frustrate the audience. People deliberately fail to understand landing pages with simple designs drives up conversions. But when their business is not up to their expectations, they turn up to their websites. I once came across a website that had no concern about its designs or any of its content. Later, when the business had to face a drop down, they started to work on the website. They made changes adding white space and made the site efficient enough for the user to handle. On working the website with such professional ethics brought higher conversion. When I noticed their conversion rate from the day of renovation, I was able to notice a dynamic improvement on conversions. It is always good to maintain a website with appealing and simple designs. Simple designs not only improves conversion that increases the value of your business. No matter what industry you are into, simple designs always play a better role. 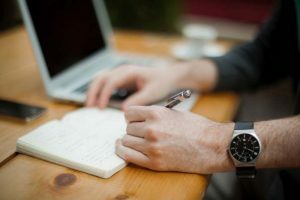 You could definitely notice the effectiveness of your website on implementing all these techniques. Get them on track right now! Make sure the more simple you design your website the more you generate revenue. Do not fail to let me know when you improve your success rate. Have I missed any valuable points, do let me know through your comments.